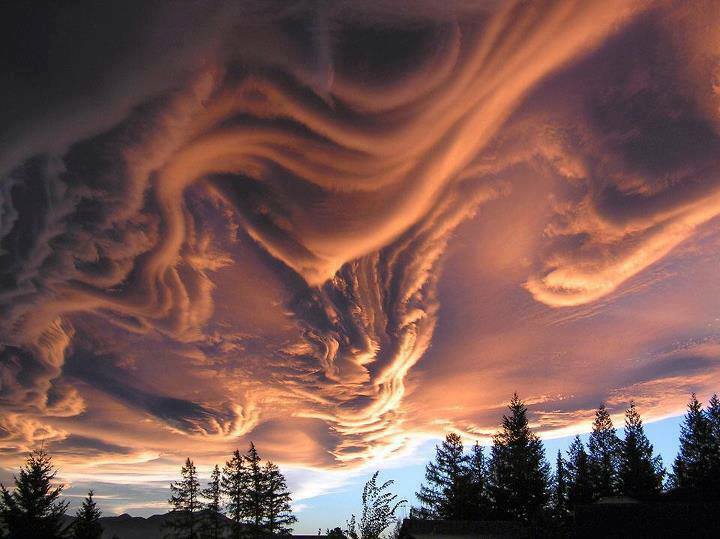 If you haven’t heard the name asperatus before, it’s because it is a newly proposed classification for clouds. Gavin Pretor-Pinney, founder of the Cloud Appreciation Society, has been promoting this cloud type since 2009. The name has not been officially adopted yet, but if it is accepted, it will be the first cloud formation added since 1951. This looks like some kind of being that’s not very happy..